Oasis has a new promotion! 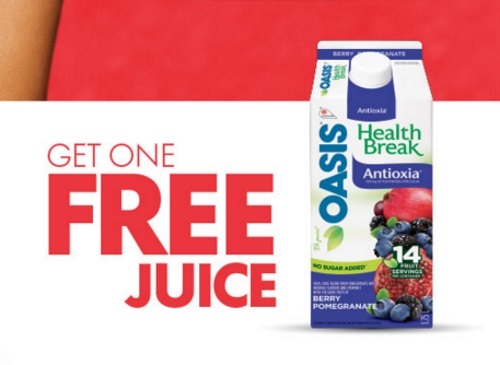 Get a Free Oasis Refrigerated Juice 1.65L or 1.75L Free Product Coupon when you purchase 2 specially marked Oasis juices and enter PIN codes! 3. Receive your free coupon by mail. Offer ends August 31, 2016.